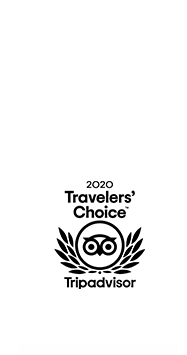 With an All-inclusive package - priced at USD 75 per night plus the cost of your cruise - there are no nasty surprises when you go to check-out. Some of the inclusions are house wines, spirits, local beers, soft drinks, juices and kayaking during designated excursions. 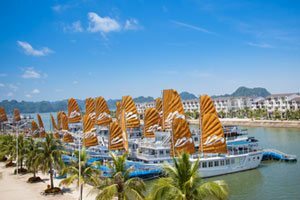 And for just USD 100 per night plus the cost of your cruise, the All-inclusive plus package offers the same benefits as the All-inclusive package, plus any 60 minute spa treatment. 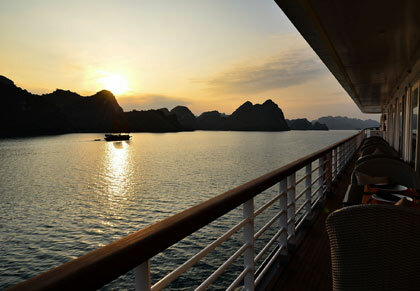 Reward yourself with the first and only Halong Bay all-inclusive cruise today! The Paradise Luxury is a wooden junk based on traditional design and has taken luxury to the next level with imported products and amenities, and chic modern styling. 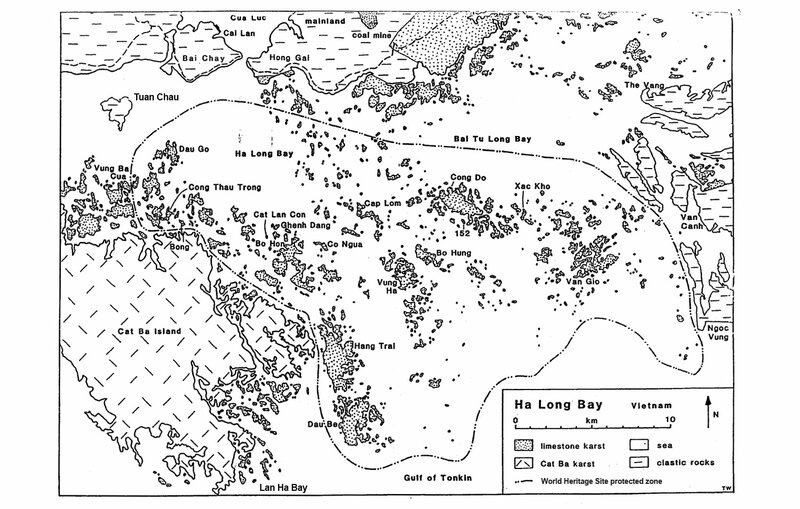 As well as cruising beautiful Halong Bay, you will also visit Sung Sot Cave and Ti Top Island. 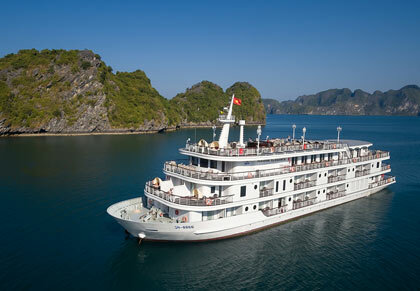 An elegant steel boat, the Paradise Elegance is the largest vessel on Halong Bay and with its sleek, modern design and facilities akin to a boutique hotel, the Elegance is guaranteed to take your Halong Bay luxury cruise to the next level. 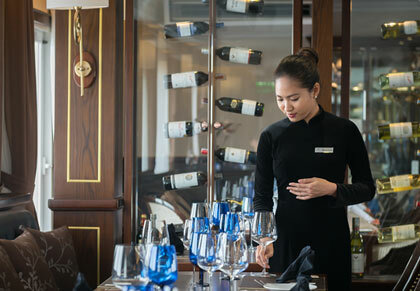 Not only will you have a personalised butler service and be able to dine anywhere on the ship, you’ll enjoy spacious cabins with private balconies, and live music in Le Piano Bar. The ultimate in luxury, this wooden junk features spacious cabins with a Jacuzzi, and each cabin feature a large balcony or dining area, and a private butler service. Onboard facilities include a day spa with a sauna, library and fitness room. 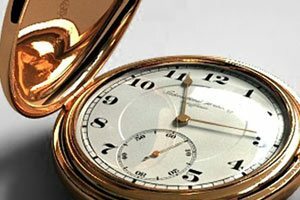 Excursions can be tailored to interests, and dining and wines are world class. 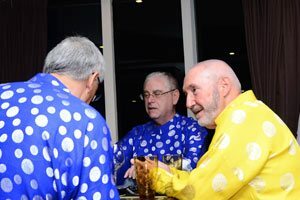 With all-inclusive benefits that include and à la carte menu with unlimited all day dining and free-flow of selected drinks. Privacy and discretion are the hallmarks of the Paradise Peak Cruise. 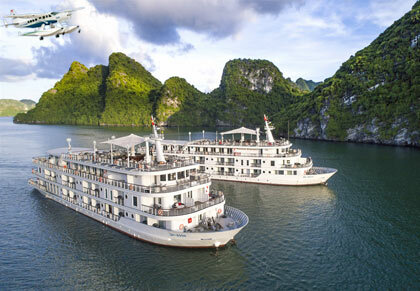 This seamless package includes your hotel in Hanoi and 1-night cruise of Halong Bay and will have you making the most of your trip to northern Vietnam. Enjoy a hassle free arrival with a private transfer from Noi Bai International Airport to your hotel, which is one of Hanoi’s finest, where you’ll stay one night. 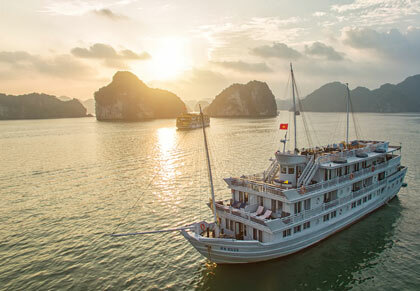 You will be transferred to and from Halong Bay by shuttle bus, and cruise stunning Halong Bay on Paradise Luxury, a wooden junk based on traditional Vietnamese design that has redefined luxury overnight cruising. 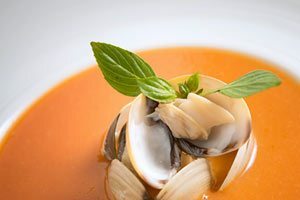 With this "best of both worlds" package, you’ll stay one night at the award-winning Sofitel Legend Metropole Hotel and experience the history of Hanoi in grand surrounds. 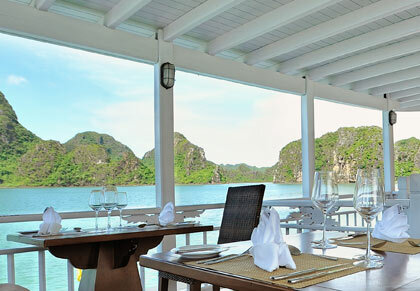 Then transfer to Paradise Elegance to cruise Halong Bay in a modern, steel boat with a chic, elegant design and amenities that are second to none. 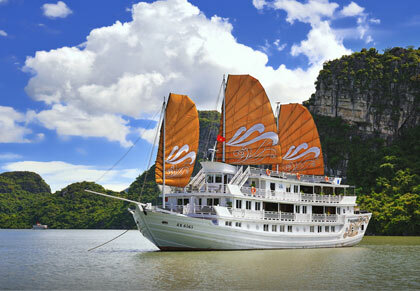 Transfers to Hanoi from Noi Bai International Airport are included, as is the round trip shuttle bus to Halong Bay. 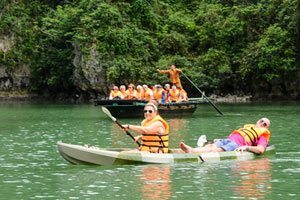 For those who don’t want to waste time travelling, yet want an extraordinary experience of Halong Bay, this package is for you. 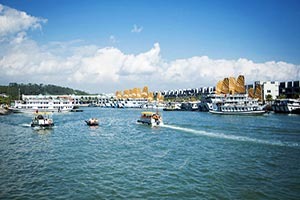 Travel to Halong Bay by seaplane, and spend extra time over Halong Bay, taking in the magnificent scenery from the air. Board the beautiful Paradise Elegance for your luxury overnight cruise with its all-inclusive benefits and a journey guaranteed to be both unique and memorable. 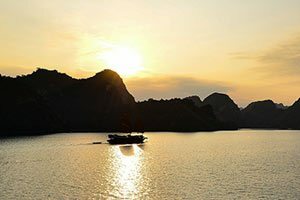 For the time poor traveller, a day cruise will give visitors a delightful experience of Halong Bay, and generally includes one or two excursions or activities. 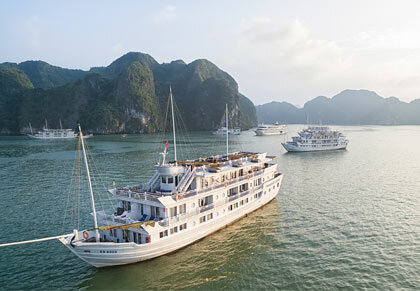 Options include a half day and full day cruise, and the Paradise Explorer is perfect choice for a day cruise of Halong Bay. 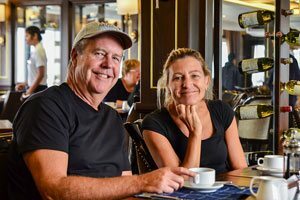 And after a busy day cruising, return to the comfort and convenience of your chosen hotel to relax, refresh and rejuvenate. 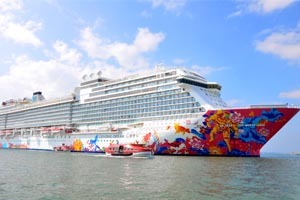 Comparison of cruise boats, both luxurious wooden junk and trendiest steel vessel. 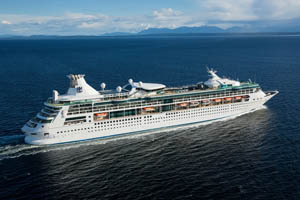 Overnight cruise tours with all-inclusive option. 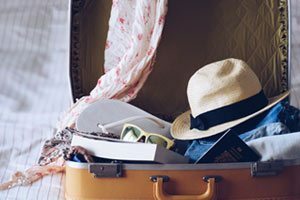 A handy guide with 8 steps will help you find the best cruise for you.